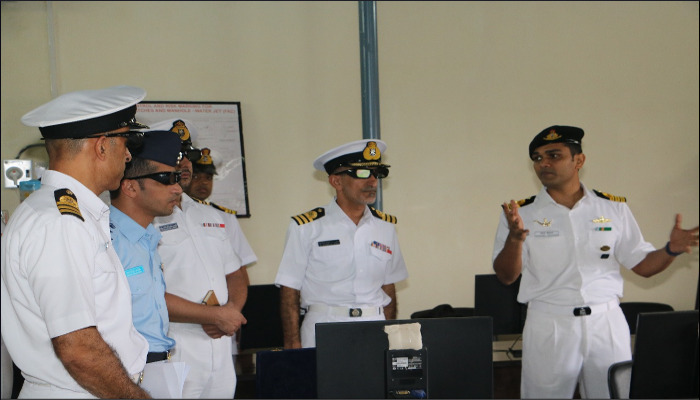 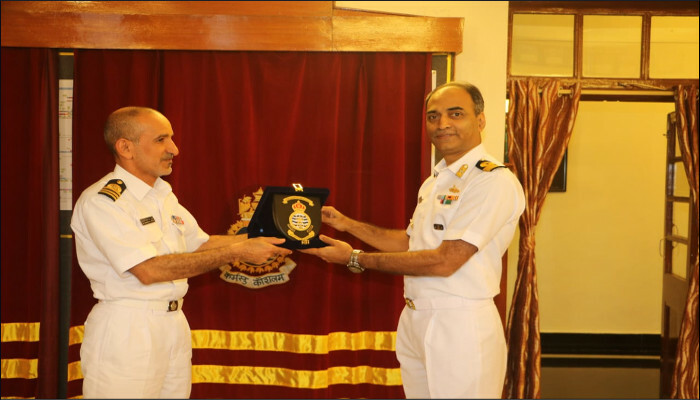 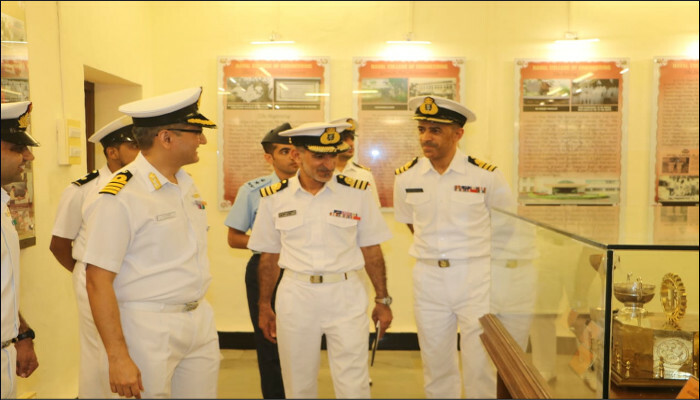 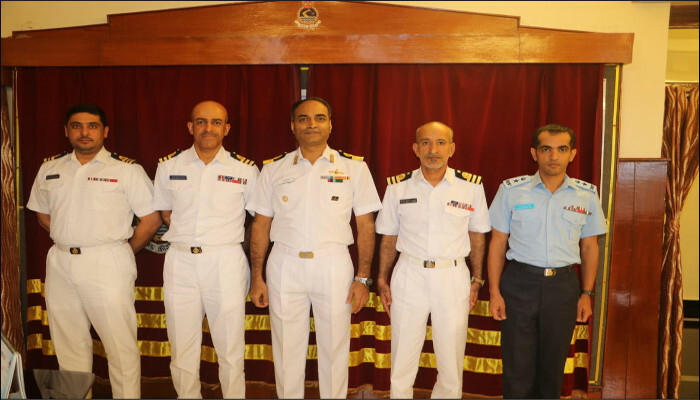 A four-member Royal Navy of Oman (RNO) delegation, headed by Commander Ali Suleman Al-Rawahi, Staff Officer Training (Policy), visited INS Shivaji on 22 September 2018. 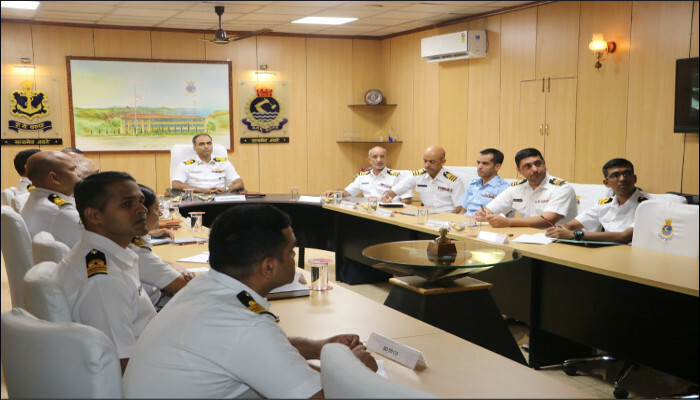 The delegation called on Commodore K Srinivas, Commanding Officer, INS Shivaji and discussed areas of cooperation in Technical Training. 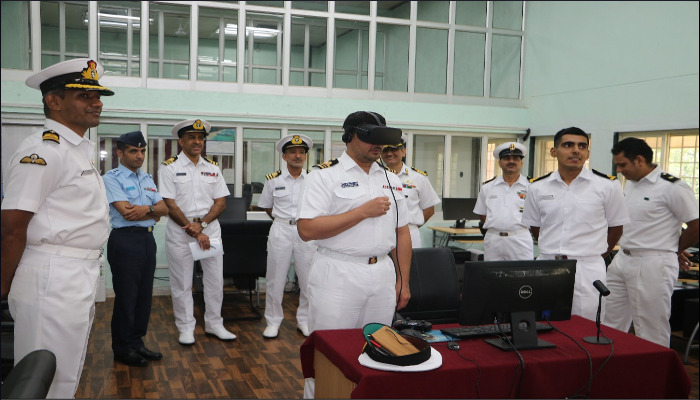 The delegation visited Centre of Marine Engineering Technology, NBCD School, Engineering Pre-Commission- Training School and other training infrastructure, including live engine bays and simulators.